DucePlaya is the epitome of what it means to be a successful dedicated versatile hip-hop artist in today's hip-hop world. The music industry has yet to see the best of this young positively motivated individual. The path paved for him through countless days and nights within the Texas & Alaska music scene has poised DucePlaya's musically genius mind to expand, grow, adjust, and to reveal a creativity limitless array of delivery techniques in which he gives much acclaimed influential credit to many southern artists whom have moved him in the dynamic direction he chooses to lead. His latest album “Music Is Life” featuring 4 AK artists, 2 California artists, and 1 world-wide Texas artist, is soon to be released on Sept. 27th 2018 ~ Oh just wait until you get a load of this! 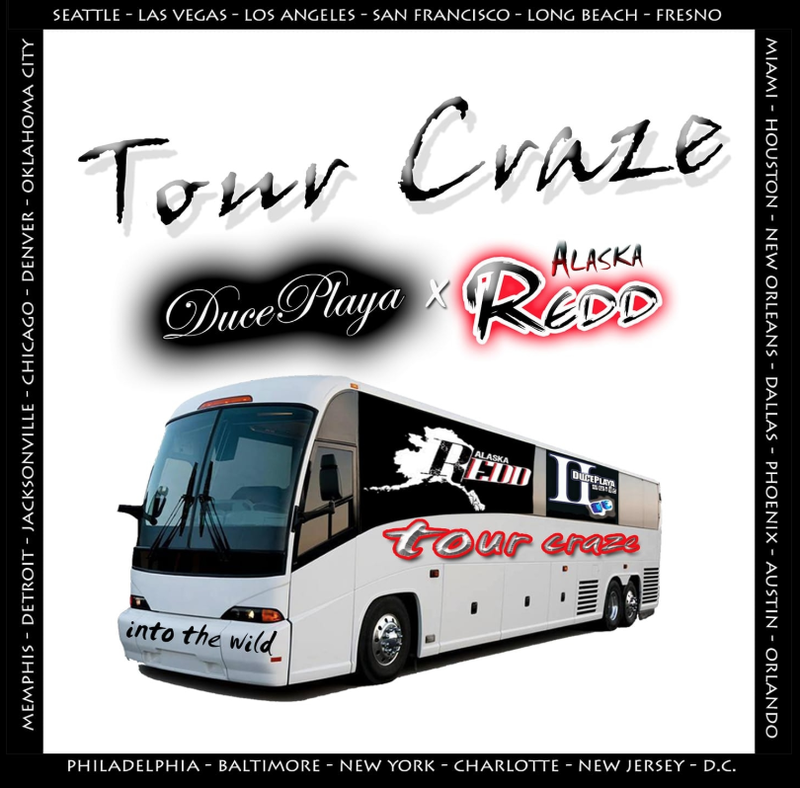 This is a joint track with the most touring artist I know Alaska Redd. ‘Tour Craze’ is a heavy hitting collaboration between a Texan & an Alaskan artist that describes the tour life through the eyes of two go getters. My dude is a very well known and affiliated professional that regularly tours that we regularly work with. Our perspectives delivered in this song are two different eyes seeing the same prize which is a having things lined up to travel with your music because your work-ethic, talent, and drive for progression have given you the opportunity to embark on a fun successful experience of this nature, in this case a tour. Created in Ice Coast Studios in Alaska. Alaska may be a sleepy place but a blossoming music community as well. We are putting on a yearly music festival called Alaska AK Rhyme Fest happening every Summer. The show is predominantly Hiphop. Hip Hop artist Duce Playa talks with Jacqueline Jax about making music in the last frontier of Alaska. He releases his 1st single from his 3rd Album featuring Alaska Redd. They also talked about the music business and the role that social media plays to indie artists. I love every part of the music creating process from writing, producing, engineering, harmonic delivery, and using multiple styles music because music is my most effective way of self-expression especially with my artistically prominent background. steadily evolving due to the new found self-driven opportunity for success with the masses for the lyrically creative and passionate writers, performers, vocalists, and mc's – like I always say, “its just another day in the life". In today's world you will get what you put into it with the appropriate and consistent direction and intelligent investment strategies. 1. The modern music business is steadily evolving due to the new found self-driven opportunity for success with the masses for the lyrically creative and passionate writers, performers, vocalists, and mc's - like "I always say its just another day in the life". 2. In today's world you will get what you put into it with the appropriate and consistant direction and intelligent investment strategies. 3. I love every part of the music creating process from writing, producing, engineering, harmonic delivery, and using multiple styles music because music is my most effective way of self-expression especially with my artistically prominent background. karisakay76Give it all you’ve Got!! indiemusicspinVery true. You do only get what you put in. I enjoyed your interview and the song. Well done.